Drew Baird has a passion for High End Audio which is relevant in every product Moon Audio delivers. Drew makes sure that each product has extreme detail orientation, the highest quality materials are used and the highest quality workmanship has been completed on each of our handmade audio cables. Please join Drew Baird, P.E., Founder and President of Moon Audio on this 2nd video in the “Just Ask Drew” video series titled: “Drew’s Top High End Headphone Picks and why”. Make sure to watch the video below in Hi Definition and leave us your comments & questions on anything else you would like us to do a video on, do a blog post on, or talk about online and we’ll pick a winner each time we post a video for a $50 gift certificate to Moon Audio! Make sure to share this video with your friends! Are you using a system that you don’t think is giving you the best sound with your Sennheiser HD 800 headphones? Are you looking to upgrade your Sennheiser HD800′s and looking for new headphone amp? Here is a great question and answer series from a customer and Drew Baird, P.E., President and Owner of Moon Audio on some advice about this hifi subject. *NEW* The Silver Dragon V3 Premium Audeze Headphone Cable is Moon Audio’s Top of the Line Headphone Cable. This is a Premium cable specifically made for the Audeze LCD2 or LCD3headphones and it includes premium Furutech Rhodium Connectors to enhance the look, feel and listening pleasure for all your hifi music sessions. 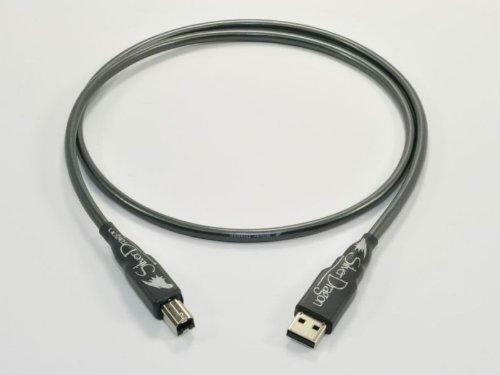 Higher grade Silver Solder is used on this headphone cable and all connectors are rhodium plated and treated for optimal signal transfer. 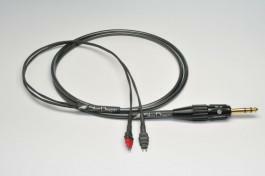 *NEW* Silver Dragon V1 IEM Portable Mini Cable for linking iPod™ and other portable idevices to headphone amps and more! This picture below shows the new Low Profile 4.5 inch version of the original Silver Dragon V1 IEM Portable Mini Cable. This new Silver Dragon V1 IEM Low Profile Mini cable utilizes two low profile gold plated high quality right angled 1/8″ Stereo Mini Plugs to provide a more compact attachment between gear. This connector also easily fits through most Phone and iDevice protective cases. The picture above also shows the connection between the iQube V3 Portable Amplifier Dac and theCypher Labs Solo -dB Portable Dac. 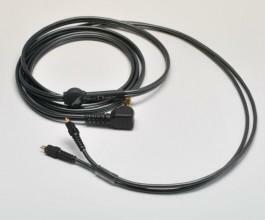 NEW Black Dragon V2 Shure Headphone Cable for the Shure SRH1440 & Shure SRH1840 Full Size Headphones. First come, First Serve – Order NOW! 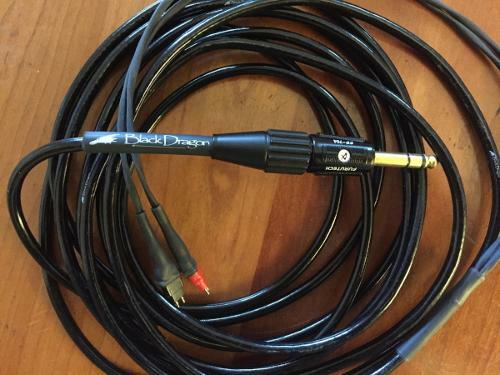 This is one of Moon Audio’s many Custom High End Upgrade Headphone Cable for Full Size Headphones. Moon Audio had to create our own molds or connection system in order to plug right in to the Shure Full Size Headphones. This creates a tighter connection and thus improves the sound, clarity, dynamics and improvement to the headphones. Looking for the Best High End Sound for iPad, iPhone and your HiFi Audio Setup? Focal Stellia: Finally, a closed back answer to Utopia. Drew Baird, P.E. of Moon Audio is an Avid Music Lover, ex DJ, HiFi Tinkerer, and is Absolutely Passionate about delivering the BEST custom handmade audio cables with extreme attention to detail, workmanship and materials.